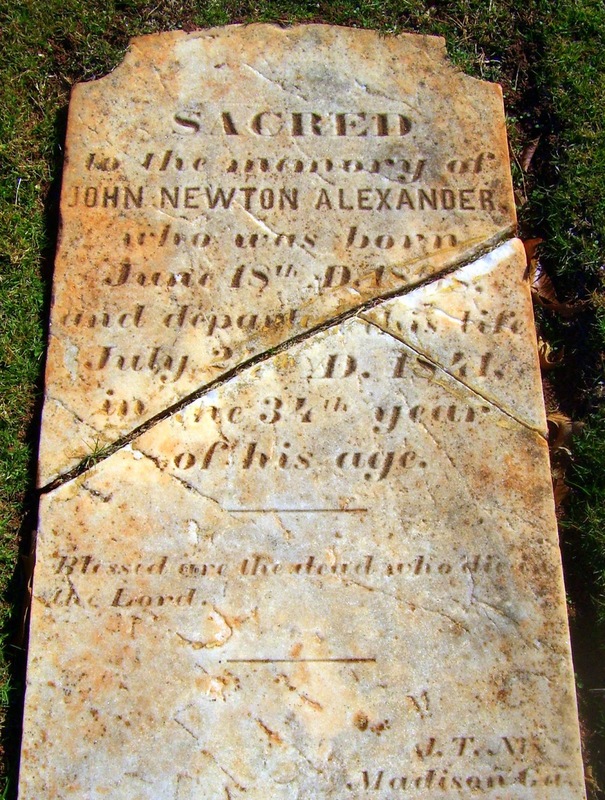 John Alexander was born about 1755 in Fountain Inn, South Carolina to James Alexander and Mary Peden. John's brother James and uncles John, Samuel, and David Peden founded the oldest Presbyterian Church in Greenville County, South Carolina in 1786, named Fairview. Legend has it the church was named after the old gray stone church in Antrim County, Ireland, from which it's (Peden) founders came to America in 1773. The land on which the South Carolina church was built was given to the founders in lieu of payment for their service during the Revolutionary War. Prior to that, the land was in the hands of the Cherokee Indians. John Alexander, though not considered a founder of the church (but an early member and one of the first elected elders), also served during the American Revolution. He was part of the Tyger Irish Company who participated in the Battle of Kings Mountain. About 1786, John Alexander married Elizabeth Williamson. According to The Pedens of America, Elizabeth was the mother of two sons. 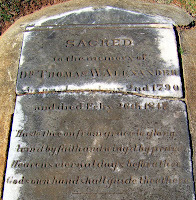 She died in 1797 at the age of 35 and was one of the first burials in the Fairview Church at Fountain Inn, SC. John married again about 1803. He and his second wife Sarah had more children. Sometime after 1810, John left South Carolina for Georgia. He eventually settled in Gwinnett County. There, he also attended Fairview Presbyterian Church. Though I find no record of John being part of the founding of this church, he was likely an early member since it was established in 1823. I've yet to find a record of a tangible connection between the Fairview church in Gwinnett County, GA and the one in Fountain Inn, SC. 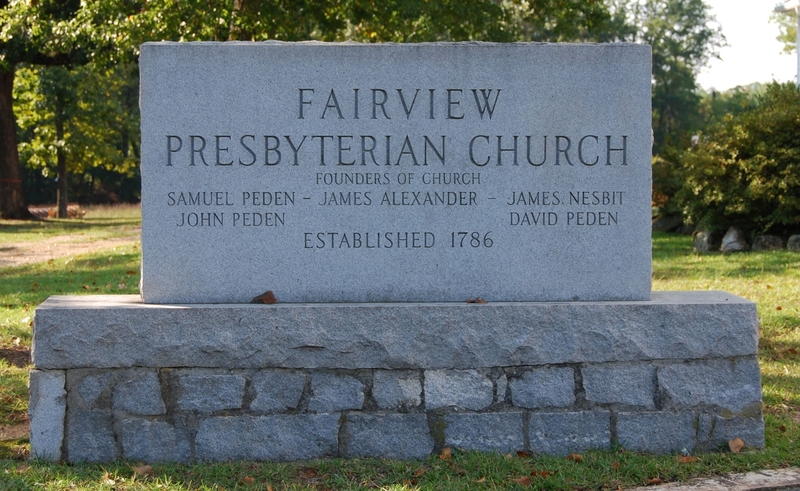 However, it has been stated that the Fairview Church in Fountain Inn "has the proud distinction of being the mother of Presbyterianism in Greenville County, and of many, many churches in other states." Major John Alexander died 9 May 1830, in the 75th year of his age. 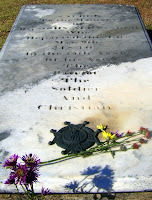 His box tomb at Fairview Presbyterian Church Cemetery in Lawrenceville, Gwinnett County, GA states he was "The Patriot / The Soldier / And Christian." 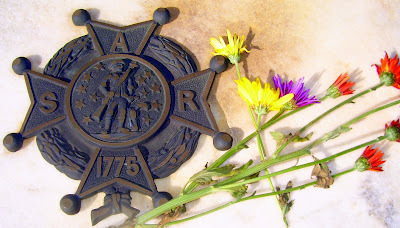 A Sons of the American Revolution emblem is attached. At least two of John's sons made the trip to Georgia as well. 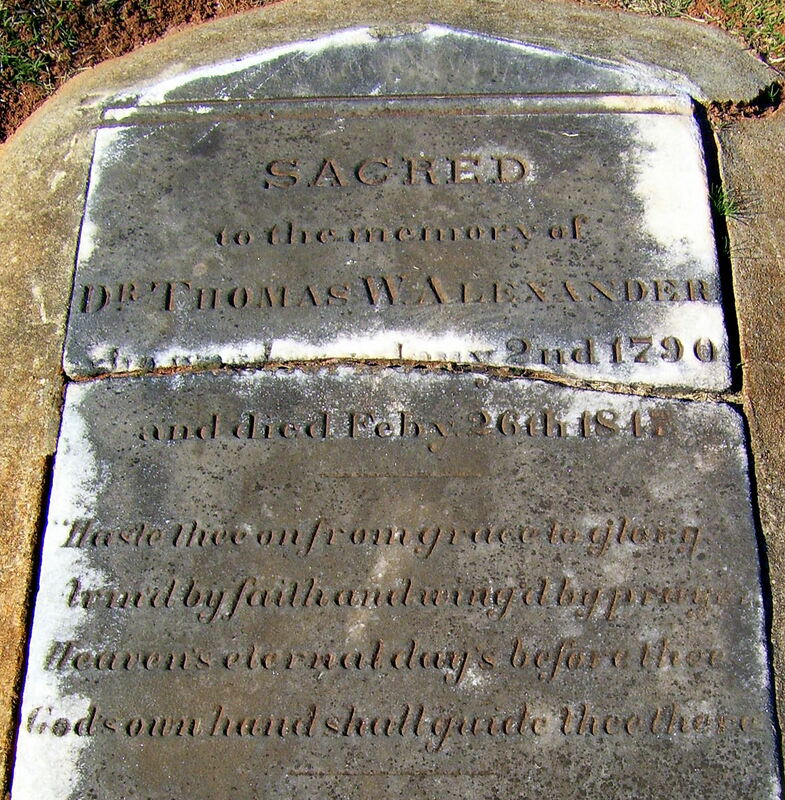 Dr. Thomas W. Alexander (1790-1847) by first wife Elizabeth, and John Newton Alexander (1808-1841) by second wife Sarah. Both are buried near their father in the church cemetery. 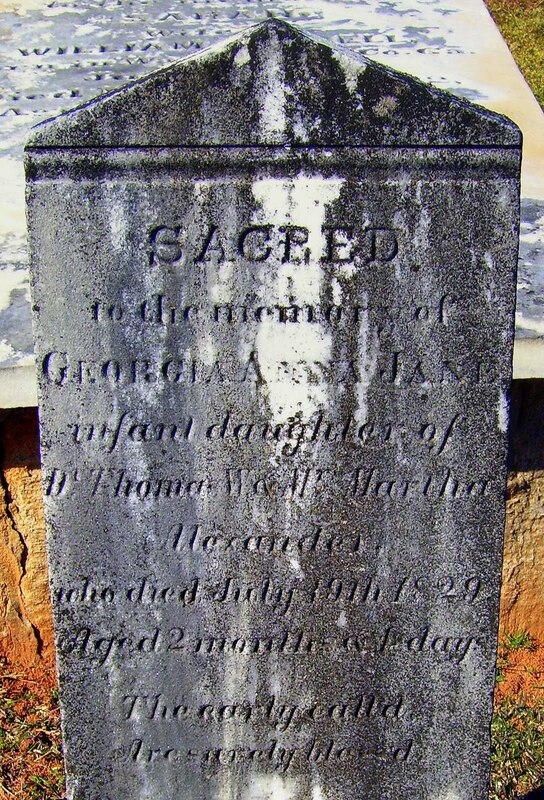 Also interred is Georgia Anna Jane, a daughter of Thomas who died in 1829 at the age of 2 months. Found out that John Alexander is my 5th Great Grandfather,mostly through my mother's research on her side. Maybe will comment again when I find the tree. Her name was Stewart, my Dad's Dunn. where he died in May 1830.